Reiki originated in Japan in the early 20 th Century. 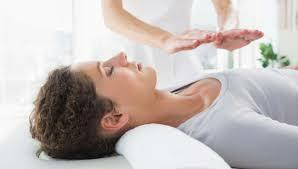 The treatment works with healing energy, which is channelled through the practitioner to the client. It is a very relaxing treatment and is a good stress reliever. Reiki works on the emotions, mind and spirit, as well as the physical body and restores natural balance in the body, thus providing a sense of peace and well-being. As well a traditional Usui Reiki, Anne is also a Master in Angelic Reiki, Karuna Reiki and Lemurian Healing, which she brings into her treatments.